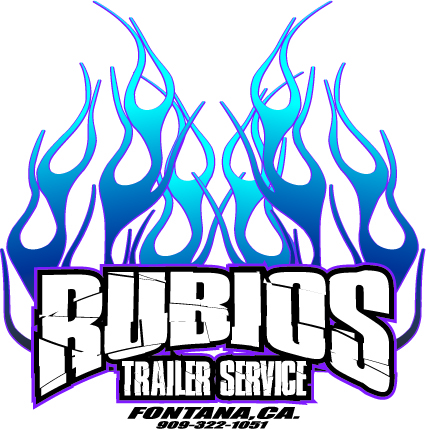 RUBIO'S TRAILER SERVICES, INC. FONTANA, CA. RUBIO'S TRAILER SERVICES, INC is a privately owned family operated repair shop. With experience of over 38 years we strive to maintain the needs and satisfaction of each and everyone of our customers. We at Rubio's Trailer Services, Inc. have developed a reputation for providing QUALITY work along with Fantastic Customer Care at a price you can afford. Whether its an FHWA/BIT inspection or some CUSTOM FABRICATION, Rubio's Trailer Services, Inc. can help. Our knowledgeable team has the experience to provide you with the best service on all makes and models in the entire industry. Our customers know that they can depend on us to provide them with quailty work in a timely manner. Rubio's Trailer Services, Inc. is here to service, repair and maintain your trailer.